Commonly this training method is utilized by athletes to enhance power, typically it would involve performing a heavy loaded exercise followed up by a similar movement done in an explosive fashion. Examples of this could be doing a vertical jump immediately after performing a few reps of heavy back squats or throwing a medicine ball after some heavy bench presses. Interestingly research shows that this training method, when done in the opposite order, can also enhance maximal strength levels. By performing an explosive movement prior to a biomechanically similar resistance exercise, strength levels can increase. For any lifter that’s ever been stuck in a plateau, this can be an effective method to boost their strength. A study was done examining the effects of plyometric exercise on 1 rep max squat performance in trained athletes. The study involved 3 testing sessions with the subject’s1RM assessed during each testing session. During the first testing session, the subjects performed a series of sets with increasing loads to determine their 1RM. During the second and third testing sessions subjects performed in counterbalanced order either leg tuck jumps or depth jumps 30 seconds before their 1RM attempt. The average 1RM lifts after the first testing session was 139.6 +/- 29.3kg after the tuck jump training session it was 140.5 +/= 25.6 kg and after the depth jump session it was 144.5 +/- 30.2 kg. 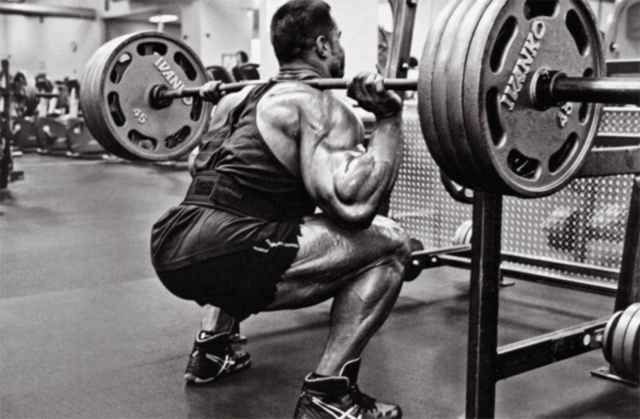 The data suggested that performing depth jumps prior to a 1RM can enhance squat performance. A similar study was conducted on college athletes involving 3 training sessions where 1 RM was assessed on the bench press each testing session. The first testing session consisted of performing increasing loads in each set to determine each participant’s 1RM. The second and third testing sessions involved either 2 plyometric push-ups or 2 medicine-ball (3 to 5 kg) chest passes 30 seconds before their 1RM attempts. Data revealed that the 1RM bench press was significantly greater after plyometric push-ups or chest passes in comparison to their first trial. How To Apply This In The Gym? If lifters wanted to apply this concept of contrast training for increased strength in the gym, they could pair an explosive movement with one of their primary strength exercises. For best results try finding the ideal rest period between the explosive lift and the strength lift, if the rest period is too short you run the risk of performing the strength exercise fatigued and if the rest period is too long you lose the potentiation benefits, most studies find 30 seconds of rest to be most effective. Choose from one of these explosive exercises prior to performing one of the big 3 main lifts for greater strength gains.